This is a set of parts that was started by Napik and me several years ago and includes contributions by MHz, Raven (I think) and various other authors who agreed for their work to be shared and used for the good of Simutrans. How many objects are there!? [It's from 1970's CMB with Metal Sections bodies]. I attached them to all of you now-just finished printing hours ago as Free Resources. You may change the Colors and the Structures for your Half-cab buses. and will be ready for download soon. Please be patient for my QC works carried. that applied to my Metal Sections Bodies. and almost forgot the printing jobs. Oops. PS2 Thank you, Vilvoh~ That's so many half-cab needed the graphics to do with. If you don't mind, I'm going to upload them in graphics.simutrans.com, at pak128 templates album. here is a transparency/shadow pattern that I made. It looks a bit better in game than the standard checker-board pattern, especially when zoomed out. it's about 55~58% transparent compared to checker-board. I extracted textures from all my projects (finished or not) and placed them into one picture. 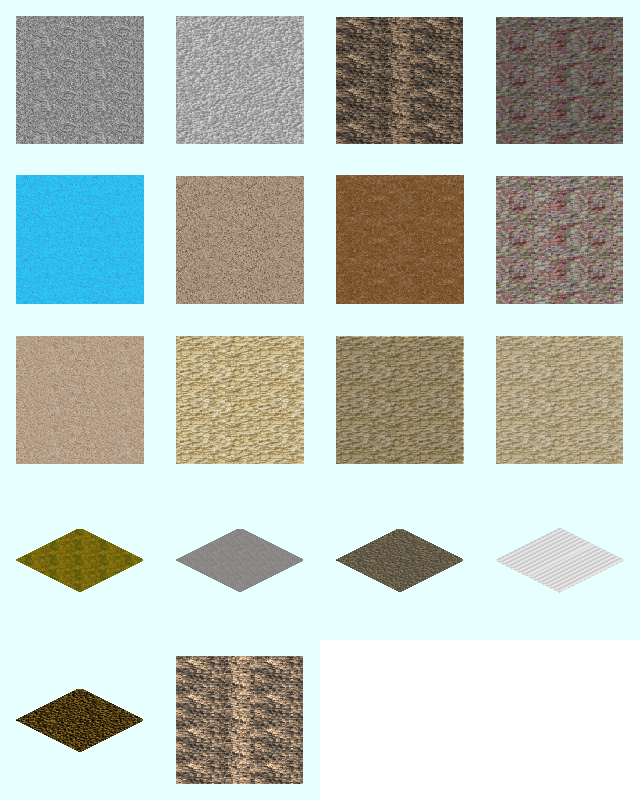 Number of textures is 18. I hope they will help. You can find them on graphics.simutrans.com. If you would like, I can place them into XCF file.